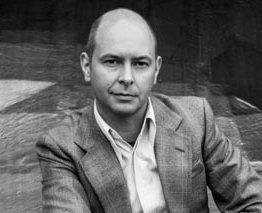 M.J. Allum Art and Antiques Consultants is a Wiltshire based valuation service founded by Marc Allum, art & antiques specialist, author, lecturer and expert on the BBC's Antiques Roadshow. Marc has worked in the art and auction business for twenty seven years and offers a comprehensive valuation service based on his previous experience as a London based auctioneer and company director now working as a freelance consultant, author, broadcaster and accomplished adviser for acquisition and investment. His skills, as a varied, highly professional and knowledgeable valuer are well regarded and carried out with a degree of politeness, confidentiality and decorum commensurate with a variety of sometimes emotive and delicate situations ranging from probate to insurance and valuation for sale and dispersal. Marc's affiliations - accumulated throughout his career - make him well-placed to liaise with other specialists, auction houses and institutions, ensuring that clients receive the best possible advice and that their goods achieve their maximum potential in the marketplace.